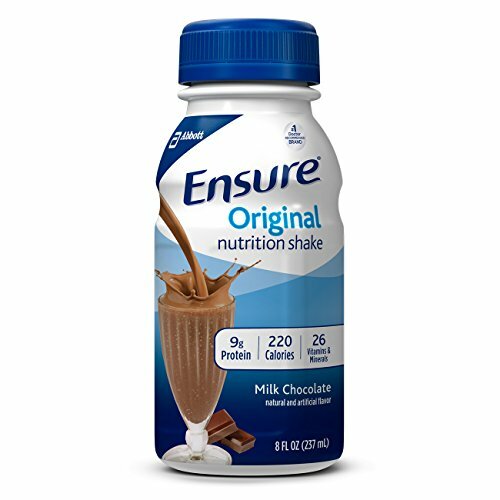 Seniors and their caregivers who are looking for convenient food options frequently choose meal replacement shakes. A protein-enriched shake can be an excellent source of essential vitamins and minerals that requires little to no preparation time and is easier to ingest than some regular food. Seniors need a nutrition-rich diet, and shakes can provide added nutrients without added work. 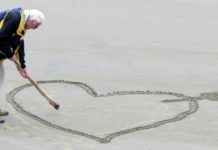 How Do Meal Replacement Shakes Help To Lose Weight in the Elderly? How Do Protein Meal Replacement Shakes Help To Gain Weight in the Elderly? Meal replacement shakes are processed drinks consumed as a substitute for a standard meal of solid food. Most shakes have measured levels of nutrients, vitamins, minerals or calories and are often used to support either weight loss or weight gain efforts. Since seniors require a diet rich in proteins and vitamins B12, D and calcium, they often use shakes as a dietary aid to ensure they get the right levels of nutrients. Before adding protein shakes into the diet, consult with a physician. Added levels of protein or other nutrients can cause adverse effects when combined with certain medications and medical conditions. For seniors who need to lose weight because of heart conditions or other issues, a low-carb meal replacement shake can help jump-start weight loss. Some studies have found that those who drank meal replacement shakes for weight loss experienced better results than those who did not. The additional protein contained in the shakes can help satisfy hunger pangs. Seniors may also find that diet shakes are more convenient and shelf-stable than other types of diet food. A person’s weight is affected by the number of calories burned compared to the calories eaten. People trying to gain weight must take in more calories than are being used by the body throughout the day. Experts have recommended that older people consume .45 to .6 grams of protein per pound of body weight. Meal replacement shakes can be an easy way to add caloric intake. 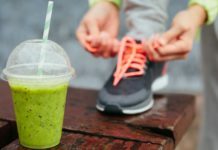 While meal replacement shakes are commonly called protein shakes, not all protein smoothies or shakes can take the place of a full meal from a nutritional standpoint. Although they contain similar ingredients, there are also important differences. 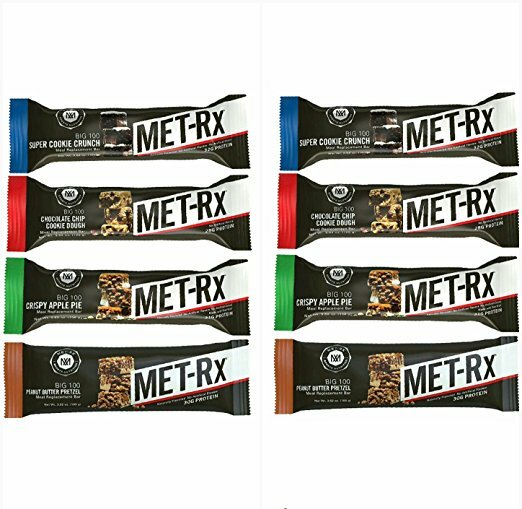 Both meal replacement shakes and bars can provide additional nutrition. For those trying to lose weight, the bar typically keeps a person feeling full longer than a shake. For many seniors, however, shakes are easier to ingest. Bars should be eaten in combination with drinking a glass of water. While meal replacement shakes should not be used to replace all meals, they make a useful alternative for some throughout the day. When evaluating which is the best shake, several criteria can be used, including quality ingredients, convenience, nutritional value, taste, price and customer satisfaction ratings. Many of the best shakes are available for purchase online. Feel more strength and energy in as little as two Comes in convenient 8-ounce or compact 4-ounce bottles with six flavors to choose from. Also available with higher protein content or in powdered form. Gluten-free, kosher, halal and acceptable for individuals with lactose intolerance. Do not drink if you have galactosemia. Ensure claims to be the number-one doctor-recommended brand. Just over $1 per serving. Most customers described enjoying the taste and consistency. They also reported boosted levels of energy and being able to retain or gain weight. Ready-to-drink and packaged in a portable container that travels conveniently with you. Low-calorie and free of sugar, gluten and Helps build a fit, healthy and lean body. No powder or mixing required, with nine flavors to choose from. Has 280 calories and contains 40 grams of high-quality whey protein, milk protein and soy lecithin, 9 grams of carbohydrates, 0 grams of sugar, 5 grams of fiber and 22 vitamins and minerals. 12-pack of 17-ounce bottles runs around $35 to $40, or approximately $3 per serving, and is considered one of the more expensive options. Many customers described how they liked one or more of the product’s flavors, although the sweetener may be overpowering to some. Although the product claims to have no lactose, some customers recommend that those with lactose intolerance avoid this product. 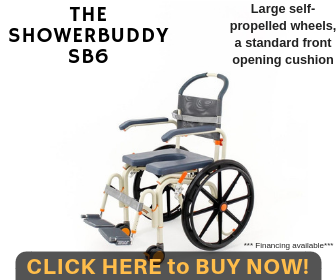 Goes where you go - easy, convenient and portable to fit your busy life. 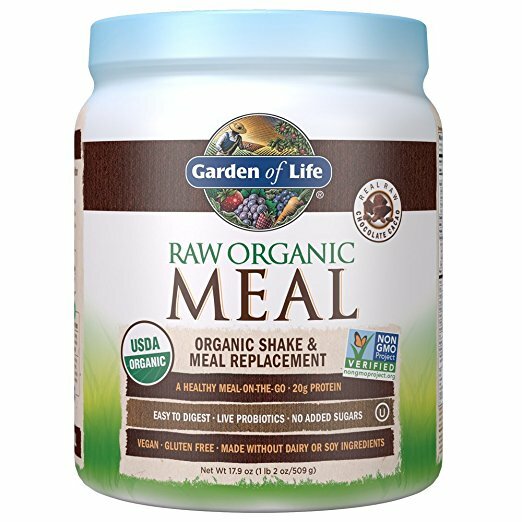 Makes the perfect meal replacement - fortified with 22 vitamins & minerals and daily essential nutrition. Available in single-serving powder packets or ready-to-serve bottles. Provides the protein and carbs needed to support energy levels during rest and activities throughout the day. Low-fat and aspartame-free; mix with milk or water. Available in vanilla and extreme chocolate. Not intended for weight reduction. Has 240 calories and contains 38 grams of Metamyosyn protein blend combined with slow-acting casein with milk protein, 90 percent DV of calcium for bone health, 3 grams of L-Glutamine amino acid, over 6 grams of BCAAs, 17-20 grams of carbohydrates, 3 grams of fiber, 2 grams of sugar and 25 essential vitamins and minerals. 40 servings range from $59 to $70, or around $1.50 to $1.75 per serving. Most customers enjoyed the taste and recommended experimenting with water or milk levels to reach the desired consistency. 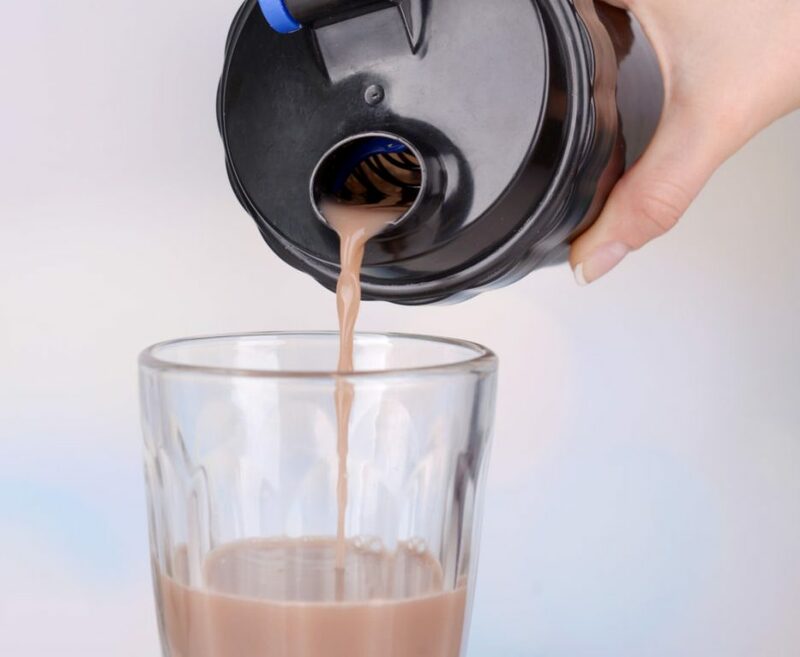 People felt full after drinking the serving-sized Studies are still underway regarding the effects of casein. Contains a powerful, all-natural potato protein hunger-blocker to help with weight loss. The sweet, creamy taste pleases the sweet tooth. Use the powder to whip up a shake in just seconds. 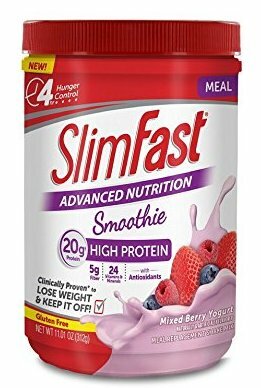 This low-fat, aspartame-free shake controls hunger for up to three hours and offers several flavors to choose from. Contains 11-12 grams of whey protein balanced with 3 grams of fat and 10 grams of carbohydrates for faster weight loss. Also contains 2 grams or less of sugar and 5 grams of fiber, plus vitamins and minerals. 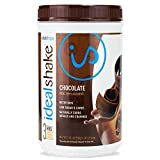 With 30 servings costing approximately $50, or around $1.67 each, this is considered a less expensive alternative than some other comparable shakes. Some customers complained of stomach pain or bloating for the first few days after using this product. Many confirmed they enjoyed the taste and their hunger was controlled. California containers display a warning that they may contain lead. 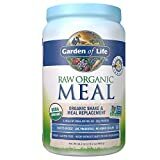 This powder provides all the protein, fiber, vitamins and minerals found in a healthy meal of raw foods. Contains no tree nuts, gluten, soy, dairy, artificial sweeteners, filler ingredients or preservatives. It is kosher, vegan, Informed Choice Certified, has non-GMO whole food protein, plus it’s tasty and smooth, with four flavors to choose from. 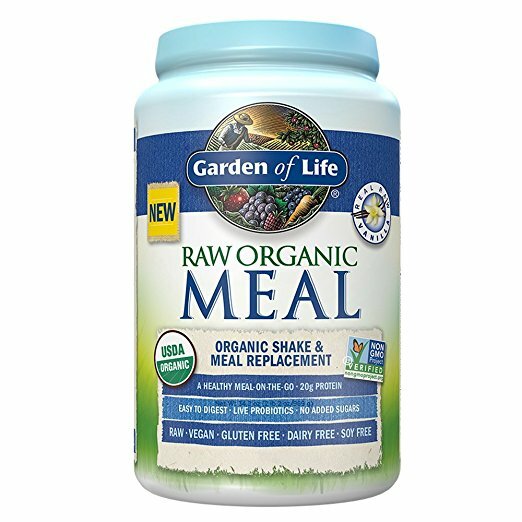 With 115 calories, this shake is packed with 21 vitamins and minerals, 20 grams of clean, organic plant protein, 6 grams of fiber, 8 grams of carbohydrates, less than 1 gram of sugar, 44 superfoods, including fruits, vegetables and organic grass juices, and probiotics and enzymes for easy digestion. Considered affordable at just over $1 to $1.42 per ounce depending on the quantity purchased. While mostly positive, some customers felt the powder had a distinctive taste that was better when blended with almond milk or fruit. Many recommended drinking immediately to avoid warming and thickening or adding more water than recommended for a smoother drinking consistency. Available in either ready-to-drink bottles or powder. Fuels a healthy metabolism with fiber that helps you feel full. Supports lean muscle tone and healthy blood sugar levels while substituting as a low-carb meal replacement shake. Over 10 flavors to choose from. 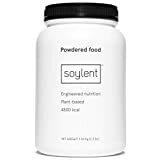 Has 200 calories and contains 25 grams of high-quality protein, 8 grams of fiber, 17 grams of carbohydrates, 3-4 grams of sugar, 3 grams of fat and 24 vitamins and minerals. Powder costs approximately $40 for a 1.83-pound, 16-serving container, or about $2.50 per serving. Reviews on taste range from “most delicious” to “awful,” so it may depend on how the user mixes the product. 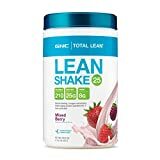 Has 400 calories per two-scoop serving and contains 20 grams of protein, including protein from soy, 41 grams of carbohydrates, including slow-burning carbs from beets, 20 grams of fat, 15 grams of sugar, 6 grams of fiber, 25 micronutrients and all essential vitamins and minerals. A can of 12 servings (24 scoops) of powder costs between $32 to $34, or $2.60 to $2.90 per serving. Comments about the flavor ranged from positive to negative, depending on taste. Some felt the sugar content was too high and the powder must be well-mixed with enough liquid to minimize a pancake-batter consistency or chalky texture. Powder is available in single-serving pouches. Shakes are formulated for enhanced nutrient absorption and are easy to digest. 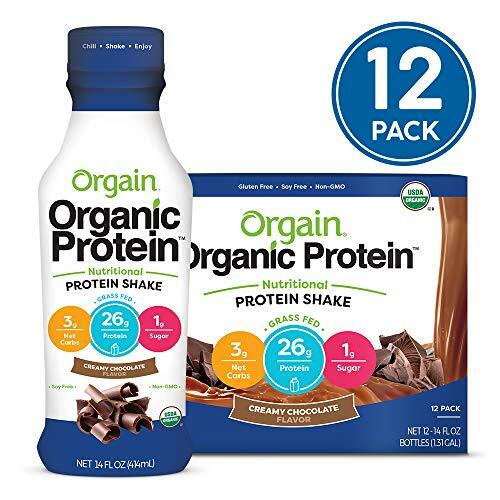 Has 220 calories and contains 24 grams of protein and carbohydrates per serving with a one-to-one protein-to-carbohydrate ratio, plus 3 grams of fat, 12 grams of sugar and 6 grams of fiber. A 14-pack ranges from $43 to $49, or between $3 and $3.50 per serving, and is considered one of the pricier alternatives. Some customers reported abdominal pains after drinking. May need extra liquid for a smoother consistency. Others recommended blending with ice cream or fruit. Has 180 calories and contains 10 grams of protein, 5 grams of fiber, 18 grams of sugar, 24 grams of carbohydrates, 6 grams of fat and 24 essential vitamins and minerals. The 24 pack of 11-ounce bottles ranges from $41 to $45, or $1.70 to $1.90 per serving. Received the Chef’s Best Taste Award in addition to multiple awards from Men’s Health and OK! Magazine. 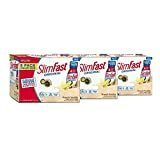 Many customers claim they lose weight while replacing one or two meals with this shake and eating a healthy third meal. 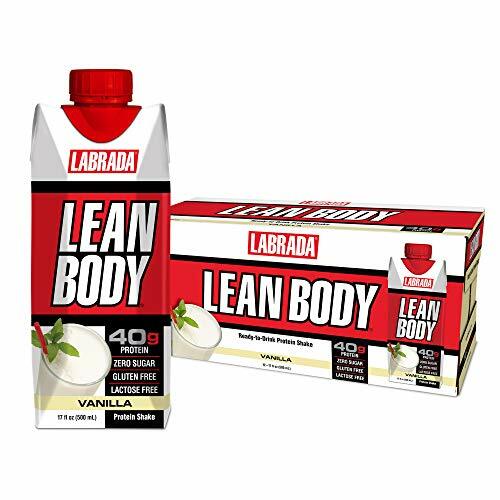 For the best meal replacement shake for men, the recommendation goes to Labrada Lean Body. It contains both fast- and slow-release proteins to help sustain energy. On multiple occasions, Labrada won the Gold Medal Taste Award from the American Culinary Institute. Its high-quality rating comes with a moderately high price. 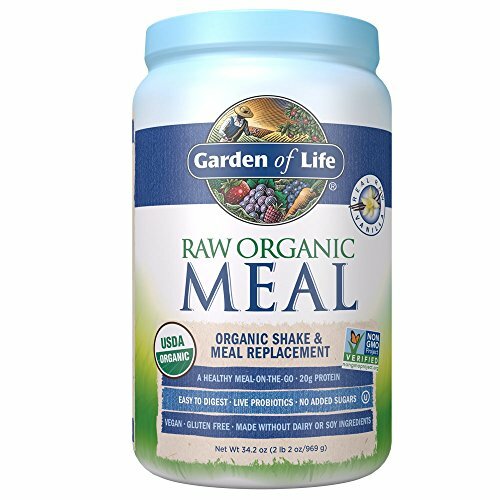 This healthy meal replacement shake can be used for either gaining or losing weight depending on other food choices. Ensure ranks on top as the best replacement shake for women. There are multiple flavors to choose from, the mixture contains no harmful ingredients, and many people report enjoying the taste. There are different formulas depending on the intended use, including either losing or gaining weight. The price is considered moderate and depends on whether purchases are made individually or in bulk quantities. 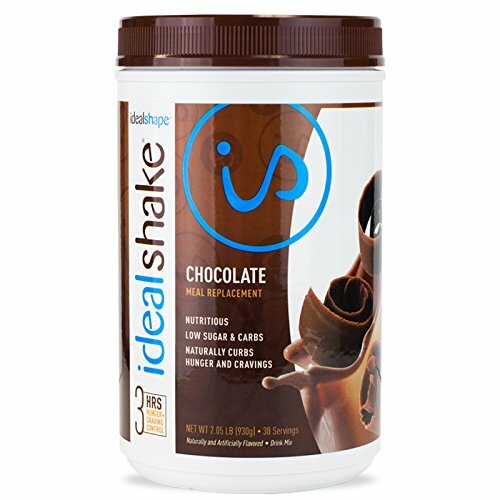 IdealShake by IdealShape ranks as one of the best meal replacement shakes for weight loss, as long as you are willing to mix up shakes for each meal. Hunger pangs can be the biggest enemy of weight loss, and the all-natural hunger blocker has been reported to control hunger for hours. Customers also made positive reports about the taste, and shake preparation is quick and easy. For those who want a premixed, ready-to-drink shake, the top choice is GNC Lean Shake. Many customers enjoyed the taste of this low-carb meal replacement shake. Its fiber helps seniors feel fuller for a more extended period. For those who are trying to gain or maintain weight, one of the top meal replacement shakes is Ensure. Customers report gaining and maintaining weight levels while substituting these nutritious shakes for one or two meals per day. It comes in multiple serving sizes, flavors and varieties. In a survey of 321 seniors ranging from 50 to 80 years old who reported lacking energy or appetite, participants self-reported improvements in activity, strength and energy after adding one to two servings of Ensure per day. While Soylent meal replacement powder is considered healthy, seniors may want to be careful when drinking the café varieties that contain caffeine. 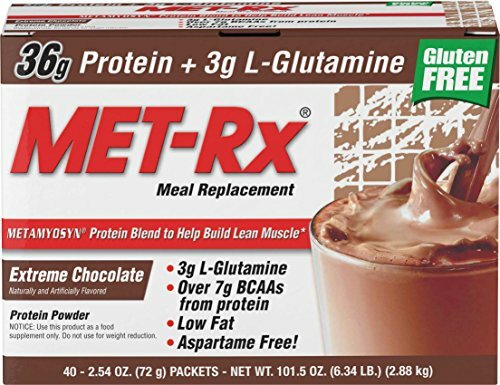 MET-Rx shakes contain casein, a protein derived from cow’s milk that has been shown to cause tumor growth in some studies; however, other studies refute this finding. Those with diabetes should carefully review the sugar content when choosing a brand, as Ensure, Advocare, Soylent and SlimFast range from 12 to 18 grams of sugar per serving. Meal replacement shakes often become a valuable part of a senior’s diet. As the desire to make meals changes and the ability to ingest heavy meals or hard-to-eat foods diminishes, healthy meal replacement shakes can make up for nutrient deficiencies. Added nutrition can also help battle osteoporosis, or brittle and fragile bones, and sarcopenia, a reduction in muscle mass, which can become serious problems the older one gets. While being convenient to make or take with you, shakes also provide an easy way to measure daily nutrition and calories. Depending on the intended use, shakes can curb appetite, help maintain or gain weight, boost energy or supplement nutritional intake. 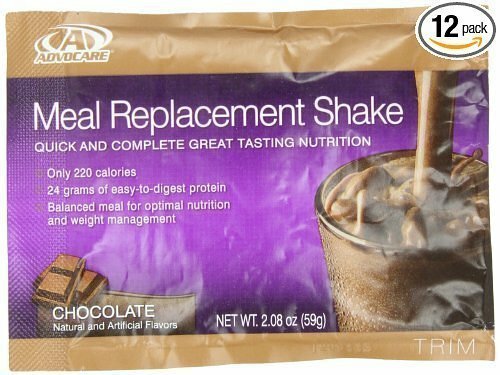 Previous articleSlimFast Meal Replacement Shakes Review: Are They for You?